Our sound manufacturing unit allows us to offer our clients with oval danglers. These are basically balloon shaped danglers that are made in-line with latest norms of the market. 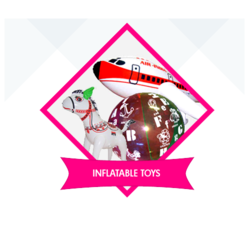 Offered with strings, these are inflated with helium gas thus, these can be placed at various heights for promotional activities. pvc products that are used for advertising. 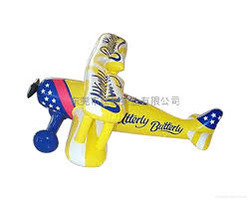 We deals in all type of Inflated toys for Children, plays and Promotions.